Citing a nationwide Brookings study, which examined links between childhood poverty and incarceration and has shown that Nashville zip code 37208 has the highest incarceration rates in the country for individuals born between 1980-86, Sweet-Love charged members, the city and state with doing more in the form of action. Due to the struggles and disadvantages that those in Nashville, and the 37208 zip code face, many find it difficult to get a job and in some cases may have a criminal record. The 72nd conference aimed to mobilize the community and other communities who are experiencing these same challenges. The focus of the first day was to solicit the support of area churches to partner with the NAACP in order to continue making progress. 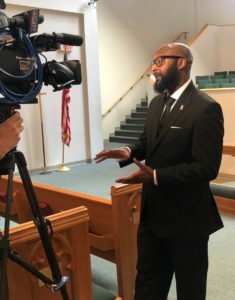 A luncheon followed the press conference in which the keynote speaker, Pastor James Turner, II, spoke from Daniel 3 and not only touched on the importance of partnerships with local religious institutions, he also discussed how life’s struggles shape us into who we are supposed to be while having the support of God. Using Colin Kaepernick’s social justice stance as a point to emphasize his point, Turner vocalized how ‘doing what’s right, may mean that you feel like you’re in the fire by yourself, like Shadrach, Meshach and Abednego did. During the conference, there was a job fair, record expungement, as well as discussions about voting rights, youth engagement and education advocacy. The NAACP was founded February 12, 1909, and is the nation’s foremost, largest and most widely recognized civil rights organization. More than half-million members and supporters throughout the United States and the world are the premier advocates for civil rights in their communities, leading grassroots campaigns for equal opportunity and conducting voter mobilization. The mission of the National Association for the Advancement of Colored People (NAACP) is to ensure the political, educational, social and economic equality of rights of all persons and to eliminate race-based discrimination. 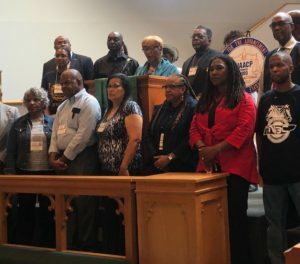 The 72nd State Conference is creating change within the community and is mobilizing communities of color in order to ensure that they are receiving the same political, educational, social and economic equality of rights so that they may continue to thrive and generate change on the local, state and national level.